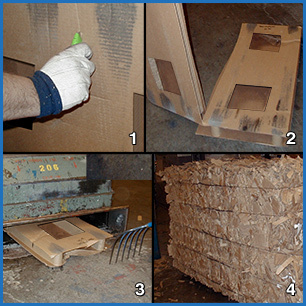 The LIFT™ Crating System is environmentally friendly because it's made of 100% corrugated material and can be recycled easily. Made from 100% corrugated material that is recyclable and re-pulpable. The crate is attached to one of our LIFT™ Pallets, creating a 100% wood free and environmentally friendly system.